Swiss new fleet flagship, the Boeing 777-300ER, will enter revenue service in the course of the coming 2015/16 winter schedules. 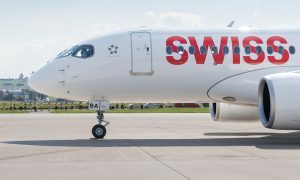 The new long-haul twinjet will be deployed on services between Zurich and New York from early 2016. The start of the winter schedules also sees more frequencies added to the Zurich-São Paulo and Zurich-Miami routes. 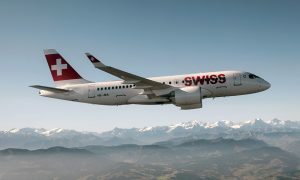 And Swiss will be further expanding its offer from Geneva, with additional seasonal services to Russian and Portuguese destinations. The Hub+ portfolio, which was introduced in spring of this year to provide Switzerland with better connections to its neighbouring countries, will also be adjusted to meet winter-season demand. These adjustments see 20 of the 22 summer-schedule destinations retained, including Dresden, Helsinki, Gothenburg, Krakow and Sofia. Vacation destinations Bilbao, Izmir, Malta and Porto will also continue to be served.